Daily Lakhs of people come to Mumbai and visit the famous places and keep them saved in their memories. IPL season has been started and more visitors are expected to visit during this IPL. 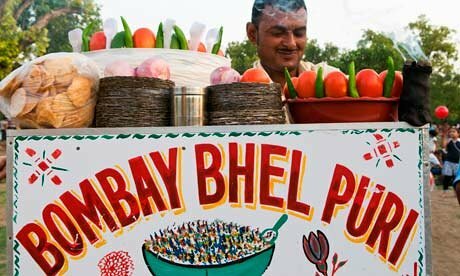 After reading this blog your visit to Mumbai will become more special as here we are going to reveal the best street foods list of Mumbai which you will never forget in your life time. If you are a food lover (and who doesn’t, really? 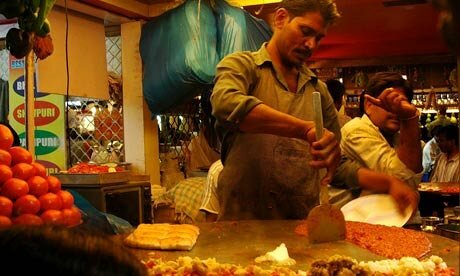 ), then you should definitely visit these street food points in Mumbai. Foodie travellers across the world are invited to visit Mumbai and taste these options. Sardar’s Refreshments is just at 5 minutes walk from Mumbai Central Station. Anybody there will guide you to the point. Here you will experience a quick service and get your order of Pav Bhaji in just 2 minutes. You will get Butter Baked Pav along with mouth watering Masala bhaji with butter floating in it, you may add on the taste of bhaji by squeezing some lemon in it. Address: Sardar’s, 166-A Tardeo Road Junction, Tulsiwadi, near Tardeo bus depot. Bhel Puri is a very common daily snacks containing a mixture of sweet-and-sour puffed rice, sev, chopped onion and potato, herbs and tamarind chutney. You will find a lot of Bhel Puri stalls at Chaupati Beach, but the best is of Badshah’s (Stall No 11) and Sharmajee’s (Stall No 22) just opposite the Levi’s Store. Address: Sharmajee’s and Badshah’s, Chowpatty Beach, near Charni Road station. A very popular grab and go snack for every Mumbaikars. It is only a Vada Pav but different from others. Here you will get golden fried potato patties containing garlic, chillies, coriander with an outer layer of chickpea flour laid in buttered fluffy Pav (Bread) with sprinkled masaala and coriander chutney over it. 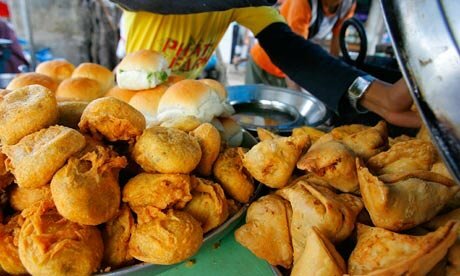 Everyone from student to businessman is fond of Anand’s Vada Pav. Address: Anand, opposite Mithibai College, Gulmohar Road, Vile Parle West. Mumbai. Imagine small crispy fried spheres filled up with potato, chopped onions and sprouts and then the most important sweet and sour masaala water and finally with masaala, coriander and mint chutney, now it the whole in one gulp. You will get this at very delicious pani puri at Elco Pani Puri Centre where they use mineral water and their special secret masaala. Here you will get a crowd of locals and even celebrities some times. Address: Elco Pani Puri Centre, 2/A Elco Market, 46 Hill Rd, Bandra West. Cream Centre is very popular veg restaurant and crowded too. Their Channa Chola Bhatura is a flagship. 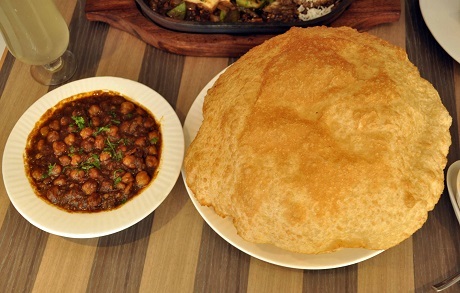 It is a big-sized, deep-fried bhature arrives along with a bowl of creamy masala channa Chola with diced potatoes and onions. You are really going to love eating it like every other visitor does. It is advised to book your table before you go.